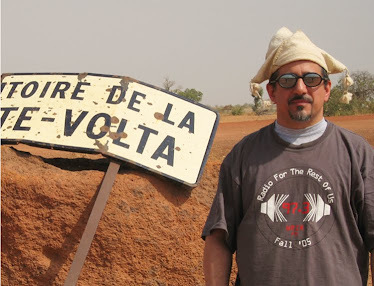 Sahelsounds’ Christopher Kirkley is best known for his Music From Saharan Cellphones series, which captures up-to-the-minute trends in West African music. Kirkley has an interest in historic recordings as well, and he’s uncovered a beauty here. Orchestre National De Mauritanie (ONM) was created by Mauritania’s first president as a musical embodiment of his post-colonial, progressive, pluralistic national vision. 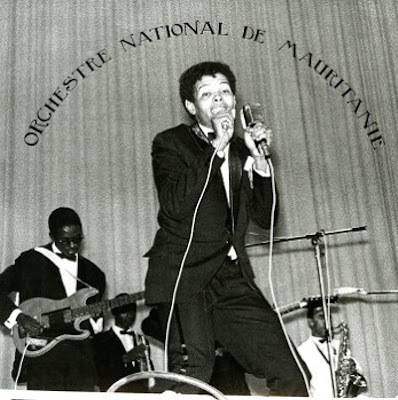 Mauritania’s “golden age” was fleeting; ONM only lived long enough to record one 45 RPM and a set of tapes which were saved from destruction in the 1978 coup d’etat by a heroic radio engineer. This recording presents the best of those tapes, and it’s a fascinating document. ONM aren’t nearly as skilled as the legendary national orchestras of Guinee (Bembeya Jazz) or Mali (Orchestre National A), but they’re working on the same kind of cultural project. Track 1 sounds like it could have come from Bembeya’s catalog, 2 (a song in praise of Mauritania’s new currency) prefigures what we today refer to as “desert blues,” and 6 is a sprawling epic of the kind all the national orchestras emphasized. Essential listening for anyone who’s interested in the West African golden age, and of interest to any African music fan.